When it comes to the subject of Life, we seem to have a blind spot. 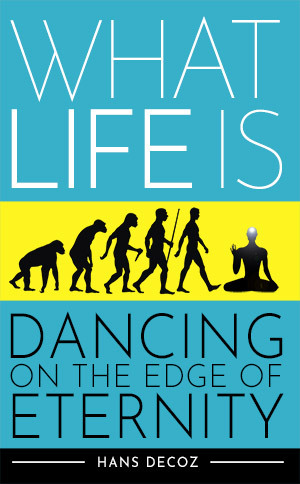 Throughout the ages, the question of what Life is has been asked and answered a thousand times and invariably both the question and the answer center on Life’s attributes: what it does, where it came from, what created it, what its meaning is... What you won't find is the answer telling you what Life is. Are we unable to consider Life as a presence in and of itself, independent from life forms and outside the context of alive versus dead? When you die everything that was enclosed by your skin is still there, except Life. Life has left you. But what is that thing called Life? What is it made of? Does Life have particles? If it did, wouldn’t science have found them by now? Is it energy? If it is, wouldn’t scientists be manipulating it? Why have we not been able to capture or isolate it? 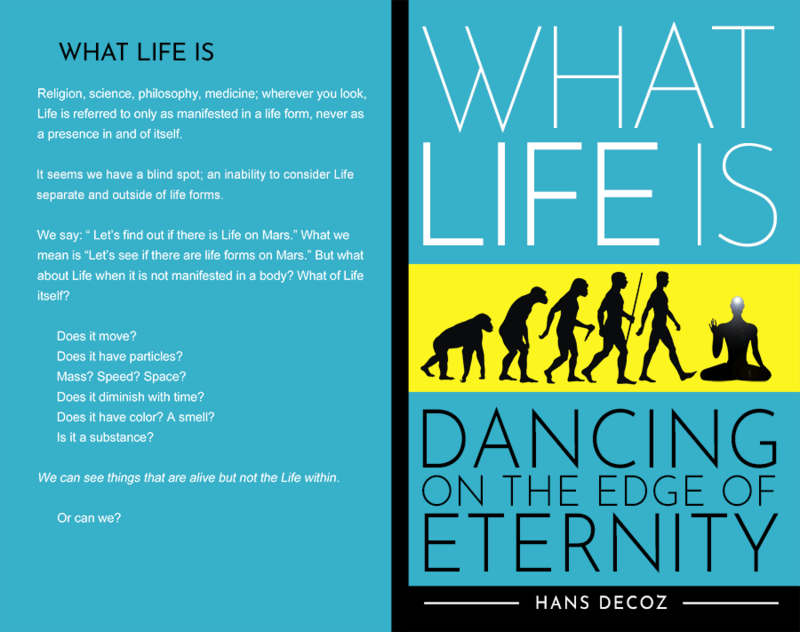 What Life Is; Dancing on the Edge of Eternity, is not an intellectual or philosophical argument, nor does it promote a religious platform. It touches the subject of Life unlike any other text, exploring the most essential question we can ask. The answer it offers is life-changing and may surprise you. And everything else for that matter. Does an elephant have more Life than a bumble bee? Is the Life in a rat the same as the Life inside a mocking bird? Does an old person have more Life than a child? Does Life weigh anything at all? Is Life one thing or many? Is the Life inside an extra-terrestrial the same as the Life that dwells inside of me? There are countless life forms on Earth. If there are no life forms on Jupiter, does that mean Life is not present there? When you look into someone’s eyes, do you see Life? It’s there, it’s right there! Is Life living with me or living me? Are we two or one? Is my identity my Life or is my Life my identity? The Life within is keeping me alive. Science knows the visible world. The visible world is made of stuff, and science knows stuff. Some you can see with the naked eye but much of it requires a telescope or a microscope, or a very large particle collider. These are instruments that help scientists see stuff; small things and things very far away. Science is the pinnacle of human evolution. For many hundreds of years, the greatest minds examined every aspect of creation; every particle, every star, every rock, every chemical, every living creature, every event in time and space – literally everything you can name has been studied and studied and studied some more. And we have the answers to show for it. Libraries filled with books, warehouses guarding trillions of terabytes of data; a knowledge base so vast, it boggles the mind. Every day we ask new questions, and every day we learn more. specifically designed for the job. 4.4 stars on amazon, 82 reviews.